Ventilation and air-conditioning installations have an important task though: In hospitals, in food processing and in the manufacturing industry, for example, they make an essential contribution to the quality of the climate. At the same time, they are to run efficiently and withstand high stresses. KLIMATEC is a renowned manufacturer of such ventilation and air-conditioning installations. The company from Trier counts on EMKA for reliable locks for its devices. Moreover, joint development work has resulted in a new solution. KLIMATEC GmbH, founded in 1987, is the manufacturer of HVAC, hygiene and weatherproof central units. At its head office in Trier, the experts assemble modular panel and frame constructions of sheet steel and install fans, heat exchangers, filters as well as further components of the HVAC and ventilation technology. On principle, every HVAC installation is an individual customer solution as it is customised to the respective application (indoor or outdoor use) and the relevant sector (hospital, automotive industry). In this way, even special requirements, such as a heat resistance of more than 600 °C, can be met. The functionality of the KLIMATEC solution was highlighted by TÜV-Süd in October 2016. It certified the central HVAC unit KZG.5 as the most efficient of its kind. The inside gasket and the locking system of this solution come from EMKA. Both companies have been working together since as early as 2002. 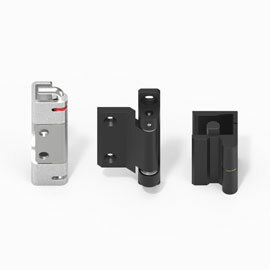 Since the beginning of the cooperation, KLIMATEC has been using hinges by EMKA for its devices. In addition, both companies work on further connecting elements. Among other things, they developed a new corner joint - which EMKA has produced about 15,000 times for the HVAC manufacturer meanwhile at its production site in Velbert - and this in different materials. The components are mostly made of plastic injection moulding. 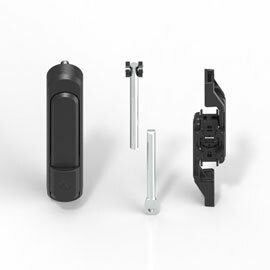 The EMKA locking technology seals off the doors and control elements specially well due to its high compression. 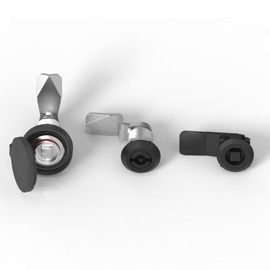 The door lock with integrated stepped cam makes it possible to gradually increase the compression pressure. The door is pulled tightly into the gasketing of the door frame. The lock with catch of zinc die cast is outside the door and enables a precise adjustment of the gasket compression. Moreover, the tolerances within the door are offset. The locking system is opened and closed by the lock housing which is pleasant to touch. 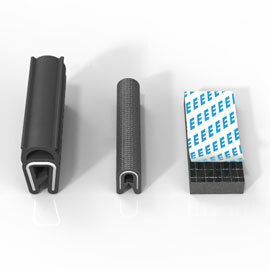 As locking sets, triangular or square inserts or L-handles with or without lock from the modular EMKA system can be incorporated. Even under extreme stress, these can be opened and closed reliably with little effort for a long, long time.